One of the reasons for the recent struggles has been the lack of form for Diego Costa. The Spaniard has struggled once again in the second half of the campaign. After having been one of the top scorers in the first half of the campaign, Costa has now failed to score in his last five league matches. As a result, Conte is reportedly pondering the possibility of giving Michy Batshuayi a rare start in the first team. He is planning to ring the changes starting with the FA Cup semi-finals this weekend. The club are up against Tottenham at the new Wembley stadium. There is also the possibility of playing Eden Hazard at the top of the front three, while bringing in Willian as the replacement for Costa. “You must have a different approach with your team when you have these games so close. You have to find the right balance and to give the right work. In this case the work is tactical work and not physical work. I think in this system the right position (for John) is in the middle of the three central defenders. 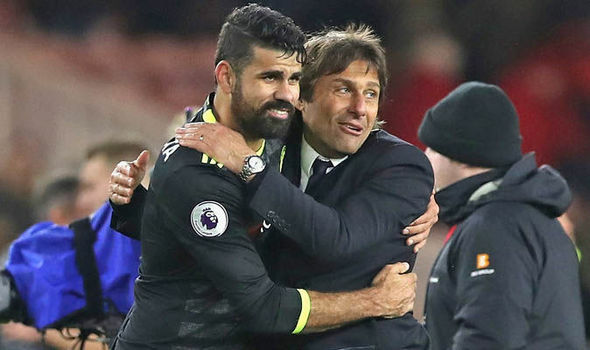 In this case, I think for this position Ake has the right characteristic to be the substitute for Gary and the same Zouma for Azpilicueta,” said Conte about Costa and Terry ahead of the semifinals.